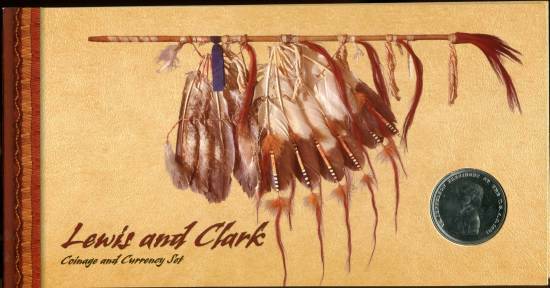 In original mint packaging, this set includes both 2004-D nickels, featuring the Peace Medal & Keelboat designs, the 2004-P Lewis and Clark Uncirculated Commemorative Silver $1, a 2004-D Sacagawea $1, 3 different 37 Cent Stamps, a silver plated bronze Peace Medal and a Series 1901 $10 "Bison" United States Note specimen. 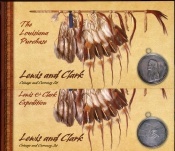 Two booklets are also included The Lewis & Clark Expedition and The Louisiana Purchase. Shipping to the United States only.